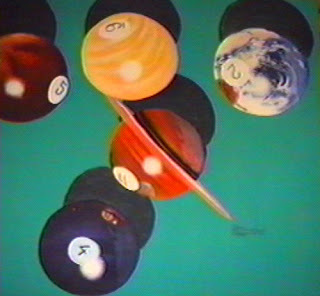 This painting is a color study for another painting that was commissioned by a retired psychiatrist. The painting the doctor actually purchased was created in black and white. This is a very colorful piece that was inspired by the many medicinal herbs that are collected throughout the world. 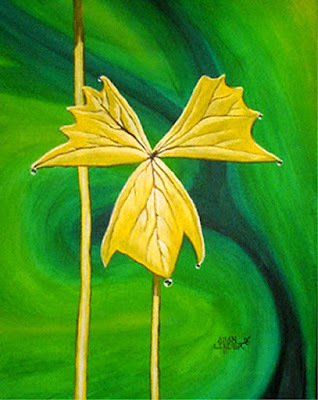 The artist began as a series of these paintings with many herbs and colors. This series will be exhibited in the future when it is completed. 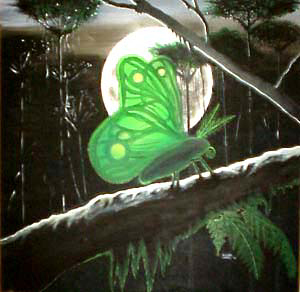 While on display at the Zero One Gallery in Los Angeles this painting was noticed by an executive of the Phyllis Diller Foundation, Allan was asked to donate this painting to charity and he did. 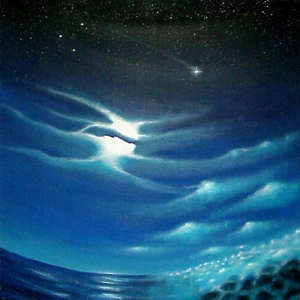 This charitable event did not move as quickly as planned so "Endless Horizon" never made it to the auction block, it was returned to the artist shortly after it was donated. Soft edges and overwhelming black space fills this large canvas. 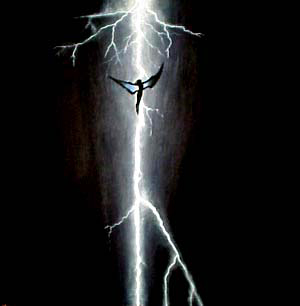 The bright flash of lightning in the center accentuates the angel pushing flying up through the adversity of the storm. 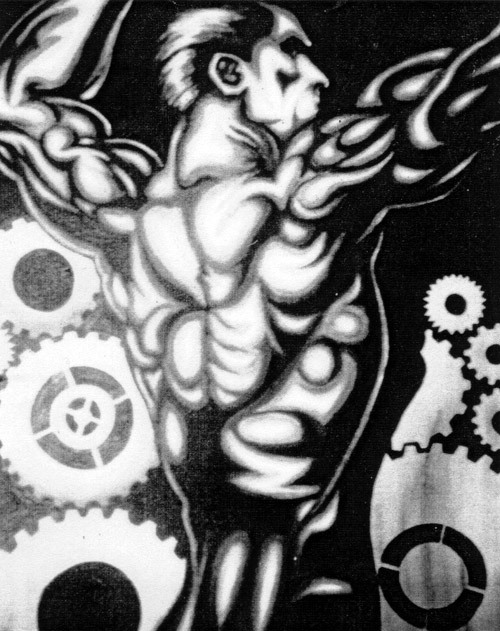 This painting is the beginning of a long list of black and white paintings for this artist. This charitable event did not move as quickly as planned so "Endless Horizon" never made it to the auction block, it was returned to the artist shortly after it was donated. 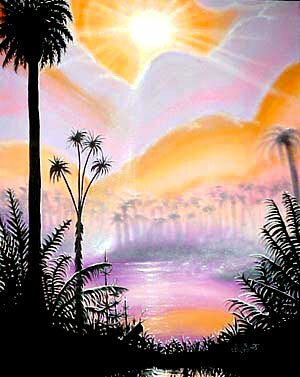 This is another painting that was based on sketches taken while the artist was in the California Mountains. 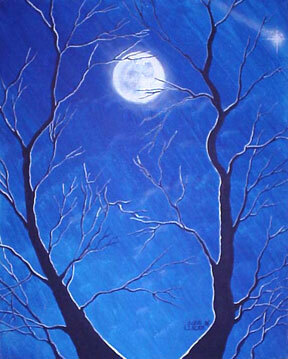 Notice the moons illumination of the branches, and a shooting star. This painting is an exploration of nature that was inspired by the California coastline where the artist spent time surfing in the summer. This painting is a symbol of paradise.